I only read the first book in her Revenants series, but I really liked it! I can't wait to see what this one is about! Ah! Awesome pick if I do say so myself (*coughs* I kinda chose the same one)... I want to read it so badly!! I didn't get into her first series but this one definitely sounds intriguing! I still need to read the last book in Revenants series, but this one sounds really interesting. I definitely add it on my to-read list. I do love the cover but I didn't like Amy Plum's first series! I think I'll wait for reviews on this one...unless it just happens to fall into my lap. This sounds amazing! A little like the The Village perhaps. Either way, I like the cover and it sounds like it could be fantastic. 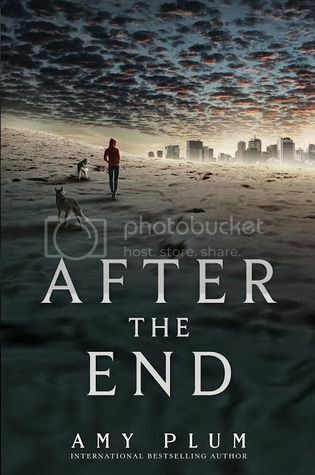 Extremely excited for After the End, love Amy Plum!!! This book is absolutely on my TBR list. I love Plum's Revenants series and can't wait to read more of her work. Great pick!